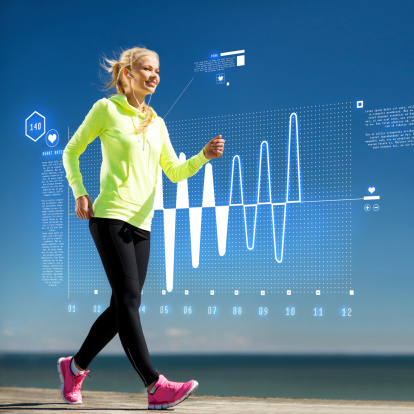 Whether in the form of a biometric screening event or annual physical exam with a primary care provider, collecting biometric data (such as height, weight, blood pressure, blood sugar, hemoglobin and cholesterol levels) is a key piece to any wellness program. Identification of high risk biometrics and potentially undiagnosed chronic diseases are critical to get employees engaged with proper care and treatment, but to also show progress and risk migration over time. While many wellness programs have engaged health coaches, we have found significant merit with specific disease management or case management programs to address the specific needs of the member population. Using collected biometrics to identify uncontrolled chronic conditions and getting employees engaged with a disease management nurse that can assist with condition and medication management can have a greater impact on overall disease control and progression. Similarly, with case management, the goal to engage participants prior to major events such as hospitalization, to better manage risk and overall spend. Telephonic coaching for high-risk individuals is on the rise, according to the UBA Health Plan Survey. 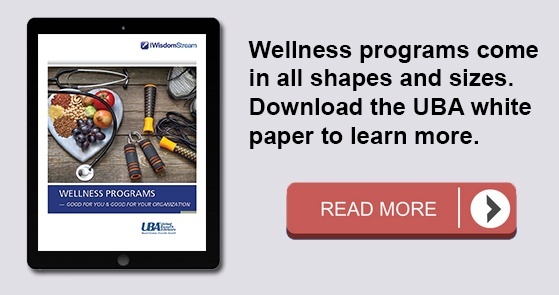 For the latest statistics examining wellness program design among 19,557 health plans and 11,524 employers, pre-order UBA’s 2016 Health Plan Survey Executive Summary which will be available to the public in late September. While in recent years employers have started looking for more ways to show hard dollar savings with wellness programs, we have begun seeing a return to including components of the “softer” side of wellness, such as lunch and learns, physical activity challenges, or general education topics. Although it may be m ore difficult to show the impact and savings associated with these programs, the fact remains that employees generally enjoy and appreciate these types of programs. Health action campaigns can provide an easy entry into wellness programs for employees that otherwise may be hesitant to join, and it meets the need of providing information and options for those healthy and lower risk members not involved with disease or case management. A clear communication plan, including consistent messaging and branding and a main source of information, is a key component to keeping the wellness program moving throughout the year. A wellness portal is often useful for this task, as well as housing key participant information including incentive tracking. There are numerous options for portal vendors, and employers have had success with building a wellness page as part of an existing Intranet page. Establishing a wellness committee or wellness champions is helpful for relaying communication and generating engagement from various departments within an organization. While the goal of every employer would be to have its employees intrinsically motivated to improve their own heath, employees often need some extrinsic motivation to get them started. Whether in the form of health savings account (HSA) contributions, premium reductions or various other incentives, simplicity is essential. Adding complex details, multiple dates, and rules complicates the program and often drives employees to only seek the details to qualify for the rewards, instead of making changes and being invested in their own health. For both participation-based and outcome-based programs, an easy-to-understand and interpret incentive structure will help to engage employees in the overall program. To understand legal requirements for wellness programs, particularly as it relates to incentive structure, request UBA’s ACA Advisor, “Understanding Wellness Programs and Their Legal Requirements,” which reviews the five most critical questions that wellness program sponsors should ask and work through to determine the obligations of their wellness program under the ACA, HIPAA, ADA, GINA, and ERISA, as well as considerations for wellness programs that involve tobacco use in any way. The one key component to any program that you can’t buy – but that could ultimately be most critical to the success of the program – is the support from senior leadership. This could take the form of communication of their commitment to employee well-being, engagement in the programs, and tasking managers to support the program are all critical items to the long-term success of any program. Without clear support and engagement, participation is likely to remain with those already committed to wellness and lessen the impact on those who could benefit most from the programs. Every program should start and end with data analytics. Using data to first identify the risks within the population and medical spend waste within the plan supports the development and implementation of a carefully thought out strategy. Clear metrics and goals for all vendor partners can be established and data analysis on a quarterly or annual basis allows us to see the progress and success (or lack thereof) of interventions and programs within the population. Be sure to read our recent blog on how small businesses can implement effective wellness programs as well as more wellness program best practices from fellow UBA Partners.